The Museo dell'Opera del Duomo, or Museum of the Works of the Duomo, is located in what were the former workshops of the cathedral, created in the 15th century as a residence for the magistrates entrusted with supervising the construction and maintenance of the Duomo . 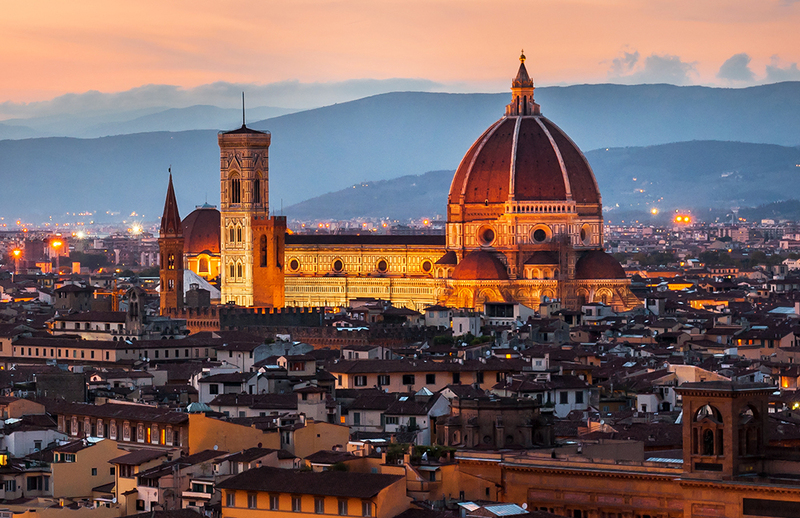 One of these was Filippo Brunelleschi who, while busy at the time with the construction of the dome, was entrusted with the project. This museum houses original elements from the Duomo, the Baptistery and the Campanile, which were housed here to protect them from pollution and the elements. The ground floor houses both tools and models used for the construction of the cathedral and statues from the unfinished façade created by Arnolfo di Cambio. These include the Santa Reparata, the Madonna of the Glass Eyes, a beautiful Lady of the Nativity and the figure of Boniface VIII. This floor also houses an octagonal chapel with beautiful reliquaries and an altarpiece dating from 1334. Once on the mezzanine you'll find one of the jewels of the museum: the statue of the Pietà by Michelangelo. Originally this work, one of the last created by the artist, was intended to adorn the funeral monument of Michelangelo in Santa Maria Maggiore in Rome. However, having just completed the body of Christ and head of Nicodemus, Michelangelo destroyed them and left the work unfinished, enraged by the poor quality of the marble. One of the servants kept what was left of the work, which was later rebuilt and completed by one of his disciples. It was later transferred to Florence. In the museum you can also see a collection of statues created by Donatello, highlights among which include the Habakkuk, an Old Testament prophet that Florentines have dubbed "pumpkin head". Legend has it that Donatello was so proud of the realism he had infused into his work that, once completed, he kicked it, proclaiming: "Speak, damn you, speak!" The museum also houses two magnificent galleria cantoni or singer's galleries, initially created for the cathedral. The choir on the left, beautifully carved in white marble, is the work of Luca della Robbia, while the one on the right was created by Donatello. Both represent children singing, dancing and playing various instruments. Also not to be missed is the room with bas reliefs from the Campanile and the extraordinary Maria Magdalena, also created by Donatello in 1454. However, the most important works housed here are probably the original bronze panels made by Ghiberti for the porticoes of the Duomo. A wonder that deserves to be contemplated.